Not everyone thinks about the future like you do. Your Legacy is not just your children, your family, and fatherhood, but the mark you’re leaving on the world. The Platinum package is for our clients who are thinking about the long-term. Includes indefinite storage when you become a Platinum Client. Privacy is the foundation of our work. Whether you are a Legacy customer is your decision to share, and your data should belong exclusively to you. Our client list is undisclosed and discretion remains at the core of our values. Your data is stored on encrypted servers, shared via encrypted transmission devices, and is not shared with any third parties without expressed authorization in accordance with the strictest Swiss privacy laws. With storing your most important assets, there is no margin for error, especially as our customers remain with us for years or even decades. We ensure your assets are stored under the most stringent requirements, including constant and precise temperature monitoring, natural disaster protection, and multiple redundancies including multi-site storage. Furthermore, our partners have been carefully screened and selected to ensure you have access to the leading experts of the world. When it comes to protecting your assets, we do not compromise. Security of your assets, 24/7. For many of our clients, physical security is paramount. We take extensive steps to ensure the security of your assets to the greatest extent possible, including 24/7 security. The exact storage location of your assets is only shared with you and individuals you authorize, and we do not publicize the exact locations of our clinics. 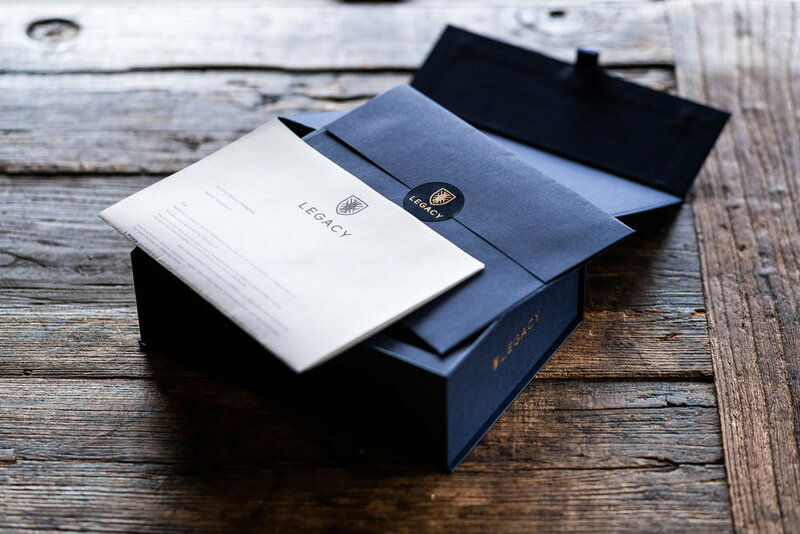 Legacy's package allows you to make your deposit from home, without ever having to visit a clinic. To see a full step-by-step guide, visit our Process page here. If you have any remaining questions, please reach out to us, via the chat-window at your bottom right, by phone, or by e-mail at info@givelegacy.com. You can view our contact information here.